Our Panteris & Panteris debt settlement lawyers defend New Yorkers sued for payment of a debt. We file paperwork in court to stop unfair wage garnishment and release frozen bank accounts. In addition, we obtain proof of a creditor’s claim and assist clients in negotiation of favorable settlement terms. Sued by Panteris & Panteris Debt Collectors? Contact our Panteris & Panteris debt settlement lawyers today. If a collection agency has taken legal action against you, protect your rights by filing a prompt response in court. Our Panteris & Panteris debt settlement lawyers are highly experienced in fighting debt collection lawsuits in the New York Civil Court and State Supreme Court. We regularly appear at the courts in Manhattan, Queens, Brooklyn, Bronx, Long Island & Westchester. In addition, our local counsel in Upstate New York handle court appearances on behalf of our client’s statewide. 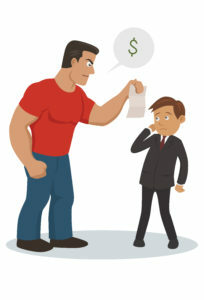 Bullied by a debt collector? You also have the right to appear at the Court Clerk’s office on your own for assistance filing the necessary response. The Court Clerk will generally provide form documents for you to complete, file, and serve on the debt collectors. You will then need to attend court on any future court dates that may be scheduled, and be prepared to negotiate a settlement and/or present your case to the judge. Let our professional debt relief attorneys assist you in resolving your financial difficulties. We have more than a decade of experience dealing with the major collection companies in New York, and the tricks they may try to play don’t work on us. We vigorously fight improper debt collection claims and apply maximum leverage to obtain favor settlement terms or a dismissal in our client’s favor. Send us your legal documents for a free case evaluation, or contact us with your questions and concerns. Our professional staff will explain your legal options and assist you in prioritizing your goals. Take the first step toward financial freedom by contacting our debt defense law firm today. Contact our Panteris & Panteris debt settlement lawyers for a free case review. This website and blog is for information purposes only and should not be relied on as legal advice. Every case is different and must be reviewed by an attorney before legal advice can be provided. We have not been hired or retained as attorneys until confirmed in a written and signed retainer agreement.